and its associated metadata, within an immersive visual atlas. Eliciting an aesthetically impelled metagenomics viewpoint in order to explore alternative modalities for representing nature, it calls out the relationship between data and understanding, and between data about life and the life that it describes. data to visual form. The installation employs an infrared motiontracking system, together with the Varrier 55 tile, a 100-megapixel barrier strip auto-stereoscopic display. 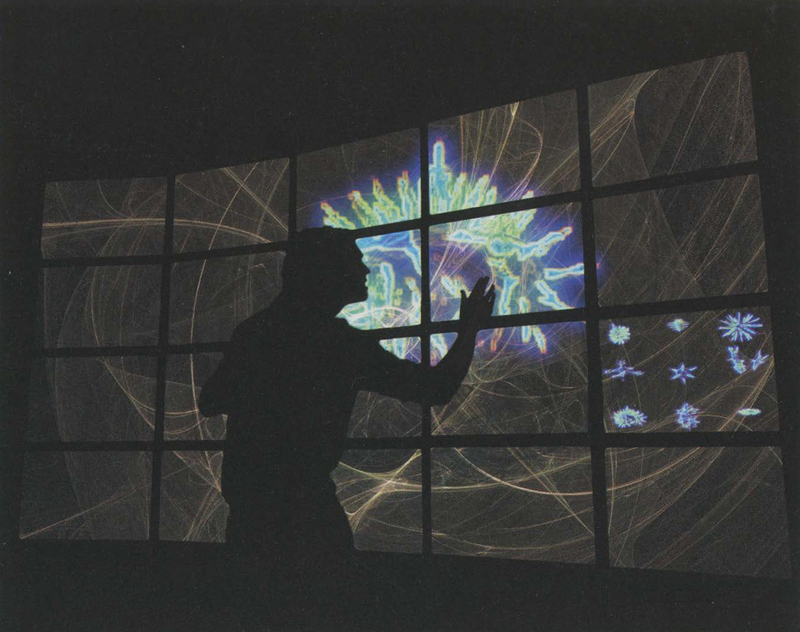 Computing and the Arts (CRCA), National Center for Microscopy and Imaging Research(NCMIR), and Electronic Visualization Laboratory, University of Illinois at Chicago (EVL).